The event must be on April 1 or close to it. The reason for this is that it is the birthday of Jean-Anthelme Brillat-Savarin, a French gastronome who wrote a book centered on food. The baked item must be book-related, even if it doesn’t replicate the book itself. It could be a scene or a quote or otherwise be inspired by the book. The participants must take photos and upload them on Facebook or send a link of the photos to the organization. Since the festival first started in 2000, Minnesota cities Rochester and Alexandria have both previously held events, and this year the Minneapolis Institute of Art joined in. 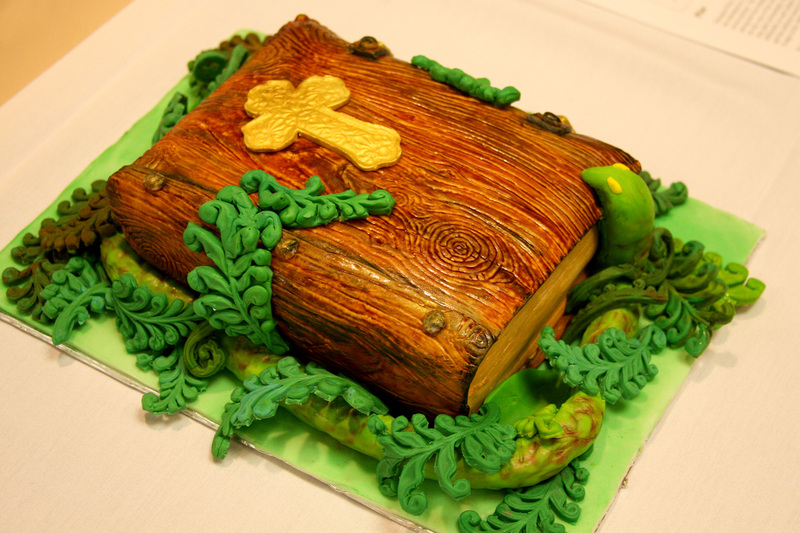 On April 2, bibliophile bakers brought forth their creations, which could not be larger than 9 by 12 inches, had to be at least 75 percent edible, and had to reference a “well-known book” that visitors could recognize in the design. With around a dozen entries, there was an interesting mix of books and styles in the end result. Some were pretty literal, like The Great Gatsby entry with its elegant recreated book over. Others were inspired by either scenes or geographic locations in the book, like the house from The House on Mango Street or the edible Mount Doom for The Lord of the Rings (complete with lava and the One Ring being licked by flames). The entry for The Stinky Cheese Man actually featured the title character. My favorite, the entry for The Poisonwood Bible, was one made to look like a Bible with poisonwood leaves and a snake twined around it. 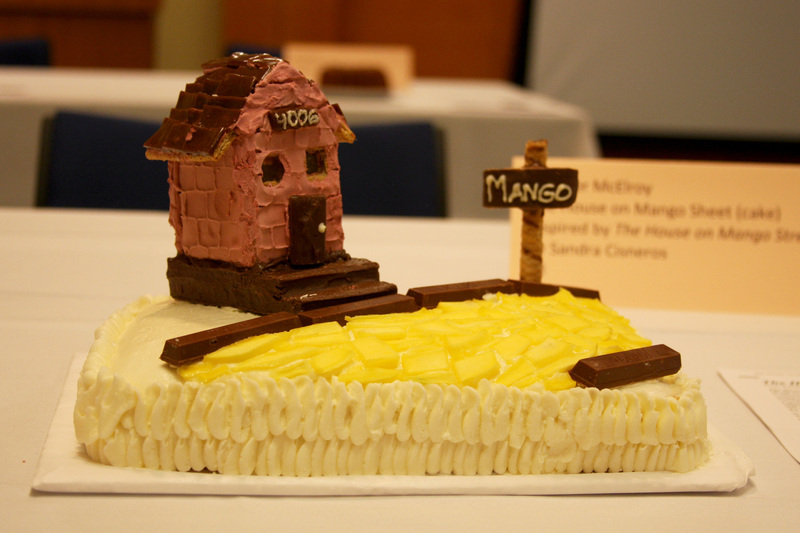 I was definitely struck by the skill it took the participants to make each one of the entries. There were a few not present at the event—much to my dismay, as the titles looked like they would have been interesting inspirations. One thing I really liked about the entries, besides the creativity and care that went into each one of them, was the book summaries provided alongside each one. Thanks to that information, I discovered at least one book I’ll be reading: a retelling of Beauty and the Beast. Just around the corner from the event was the Art Research and Reference Library, which for the day had featured books centered around food, in particular the history or photography of food, tea, ceremonies, culture, and more related to food. It was a great addition to the event. 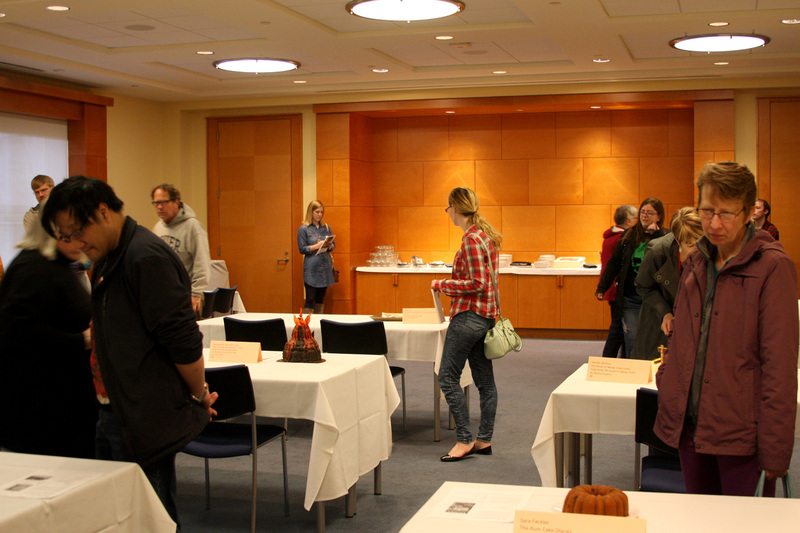 Viewers of the edible books had the opportunity to vote for their favorite piece in three different categories. People’s Choice went to Elizabeth Ripley for her Poisonwood Bible entry, Most Creative was Melissa Semrad’s Cheese Man, and Punniest was Sara Fackler and her Rum Cake Diaries, inspired by The Rum Diary by Hunter S. Thompson. Every entry was really fun and artistic. I’m really hoping this will become a blossoming tradition at the Minneapolis Institute of Art. Katy is a teacher by trade, a fosterer of language development and critical thinking. Outside of teaching, she spends time playing Star Trek Catan, reading lengthy novels, volunteering, cooking, and wishing she lived on Pern, complete with telepathic dragon.